CUCUMBERS | MICHIGAN GROWN. MICHIGAN GREAT. Whether atop a salad or deliciously salty in the pickle jar, Michigan cucumbers are a crowd favorite. 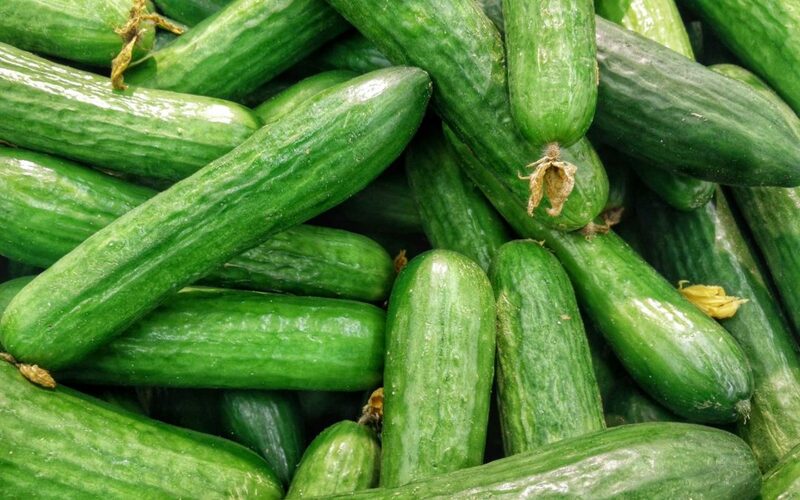 Fresh Michigan cucumbers are available in July, August, and September, and in their processed form (pickles! ), they can be purchased throughout the year.